Under-fire Birmingham City Council has been praised for making improvements - by the former top civil servant who last year warned it was a dismal failure. 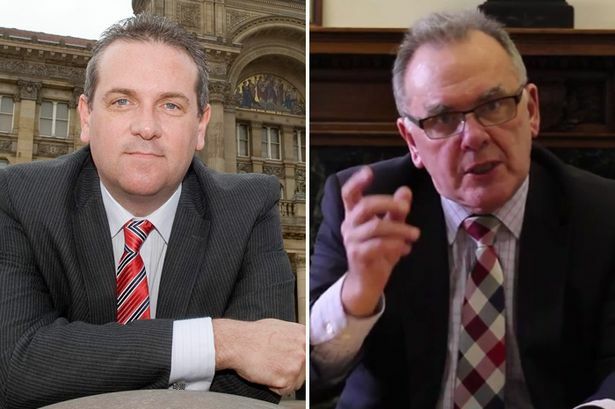 His comments will come as a boost to new council leader John Clancy, who was elected to lead the Labour group of councillors this week. And they are likely to be welcomed by outgoing council leader Sir Albert Bore, who was forced out by Labour council colleagues after 16 years in the job, partly because he was seen as an obstacle to the authority making the improvements needed. Lord Kerslake highlighted the city’s success in working with Solihull, Black Country councils and Coventry to agree plans for a new regional council, to be called the West Midlands Combined Authority. Birmingham’s neighbours used to refuse to work with it because they thought Birmingham wanted to dominate the whole West Midlands region, but the city had “moved away from this approach”, Lord Kerslake said. He was the author of a damning report published in 2014 which warned the council was even failing to get “basic services” right, such as street cleaning and bin collections. And it was pouring cash into city centre projects while residents in poor out of town neighbourhoods are left without jobs or skills, the report said. Lord Kerslake’s inquiry had been commissioned by the Government, and the Department for Communities and Local Government gave the authority a year to improve. The deadline appears to have been extended slightly to give the new council leader a chance to establish themselves. But speaking to MPs, Lord Kerslake said the council was making the improvements he called for. He was asked by Solihull MP Julian Knight (Con) whether agreeing to create a combined authority had distracted Birmingham from making improvements, but Lord Kerslake said this was actually one of the city’s achievements. He said: “You could argue that the very fact the agreement has been signed is a signal of some of the changes that have been made. “Because one of the key issues that was getting in the way of collaboration was the feeling that Birmingham was very much wanting to dominate.